Lizzie is a stunningly impressive 9 month old female Ibizan Hound (Podenco) Cross with captivating looks and a unique and heartwarming charm, not to mention her scrumptious white ‘socks’! She is a thoroughly gorgeous little poochie, completely straightforward, and will make somebody a wonderful companion and pet. 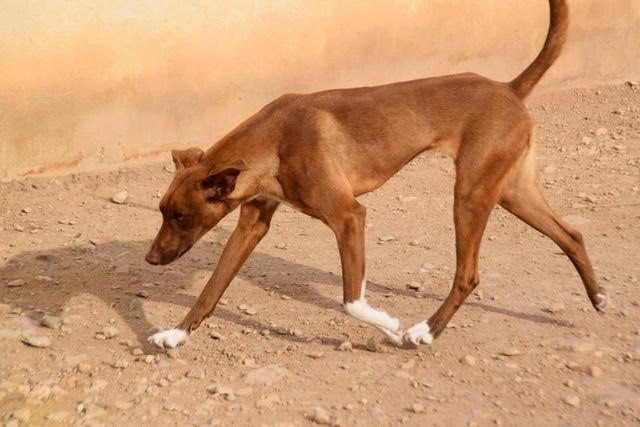 The Podenco is a sight hound, very much like a Greyhound, Lurcher or Whippet in terms of temperament and generally hardy and rugged. Podencos are becoming increasingly popular here in the UK. 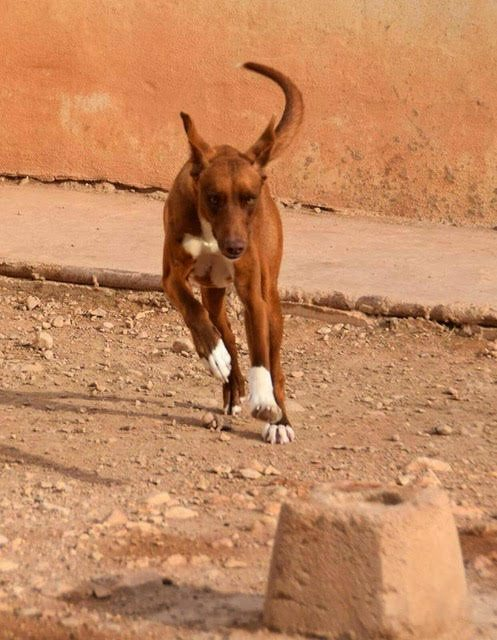 They are active, athletic dogs and jump surprisingly high for their size. They tend to do well at agility and make wonderfully loyal pets. 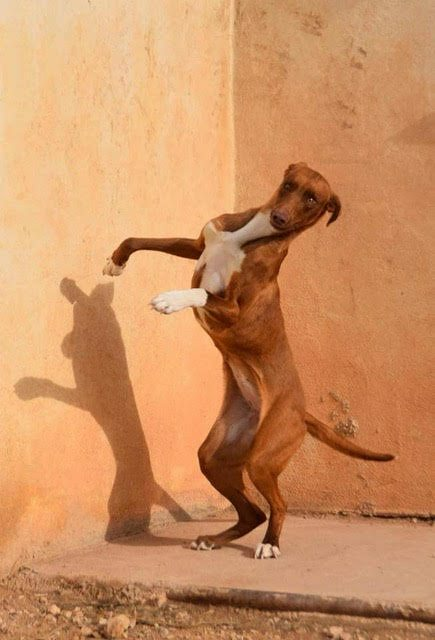 Unlike the greyhound, they don’t just hunt by sight, they also hunt by listening and tracking so they are very bright little buttons and make engaging, entertaining companions. They are affectionate and devoted and thrive on human interaction. Lizzie is a very sociable and happy girl, she loves fuss and is friendly with everybody she meets both human and canine alike and would therefore be suited to a home with or without another dog. She loves nothing more than a good run in the open air to blow the cobwebs away and absorb the aromas of freedom. Lizzie is good with children and other animals but careful introductions when bringing a new dog into the house are always necessary if cats are in residence. Lizzie will need daily exercise and a secure garden for playtime and freedom and because she is little more than a puppy she will need someone who is prepared to give her some training. Lizzie is a good traveler and is not noisy, she is safe to be left for a few hours but any adopter must remember that although she is not destructive, she is still young and whilst the majority of her “chewing” stage will be over, she needs some supervision. Lizzie is neutered, microchipped, fully vaccinated, up to date with flea and worm treatments and has a full passport for international jet setting. If you are interested in adopting Lizzie please get in touch with us through this website. The adoption fee is £275 and we require an application form and home check. Home checks are done through a national network of rescue volunteers and usually do not take more than a few days to arrange. Angel’s Kiss works with British rescue partners in Spain to help save some of the most neglected and abused dogs in Europe. Some of our dogs are in the UK but Lizzie is still in the shelter in Spain where she has been assessed for health and behaviour and is due to travel to the UK in March. We are looking for an adopter before Lizzie arrives from Spain. Angel’s Kiss homes dogs throughout the UK and Lizzie could travel direct to your home. We handle all the paperwork and import procedures and we give full post adoption backup support. For further details about adopting a dog from Angel's Kiss in York, please contact Gillian Osborne by emailing gillian@mrsosbornerecommends.co.uk or telephoning 07880 545545. Please note, this rescue carries out home checks pre-adoption and offers full post adoption support. Angel's Kiss works exclusively with dog pounds, other rescues or volunteers, to help the most desperate of cases. We do not take dogs directly from members of the public. Dogs coming into our care are all offered for rehoming neutered, vaccinated and microchipped. If necessary we go the extra mile with physio and behavioural therapy and every dog available for homing has been fully assessed.